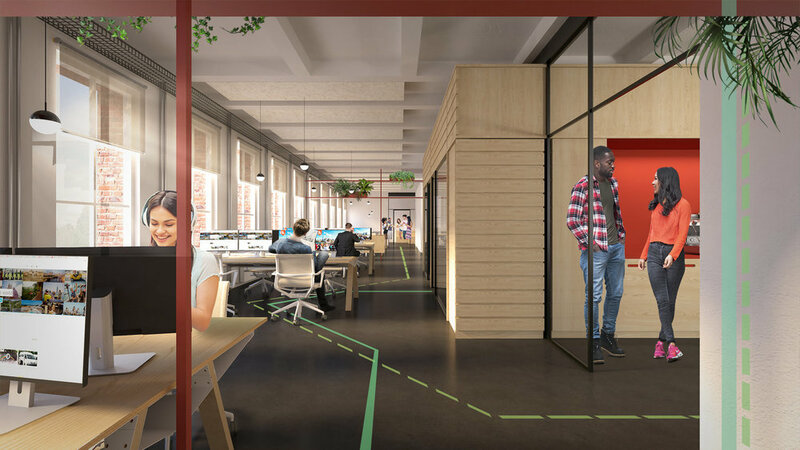 ‘Umspannwerk Ampere’ to be renovated extensively to serve as GetYourGuide’s global base of operations during period of rapid growth and expansion. BERLIN, 3 September 2018 -- GetYourGuide, the booking platform for incredible travel experiences, today announced it has signed a lease to move its corporate headquarters to the Umspannwerk Ampere, an historic former electrical substation in Berlin’s Prenzlauer Berg neighborhood. With 11,700m² of office space and capacity for a workforce of over 800 employees, Umspannwerk Ampere will enable continued growth for GetYourGuide as it rapidly scales its Berlin team and global presence in the years ahead. The move comes at a time of unprecedented global growth and expansion for GetYourGuide, which is on track to cross the milestone of 20 million tickets sold later this year. The company’s Berlin headcount has doubled in the past two years to currently comprise over 360 employees, all of whom will move into Ampere from the company’s two existing Berlin offices in the neighborhoods of Prenzlauer Berg and Kreuzberg. Constructed in 1926, the Umspannwerk Humboldt (as it was originally known) served northern Berlin as an electrical transformer station until the early 1990s. The building has since been designated as a protected monument by the city of Berlin, and used for museum exhibitions and as a campus for startups. 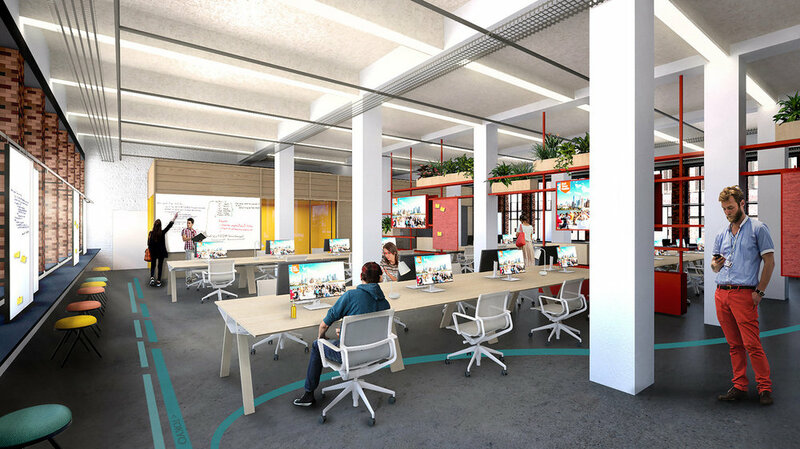 GetYourGuide’s forthcoming lease, the terms of which were arranged by London-based property investment management business Avignon Capital, marks the first time the entire property will be occupied by a single tenant. Before GetYourGuide moves operations to Ampere, the interior of the building will be extensively re-designed by Kinzo, a Berlin-based interior architecture firm which counts SoundCloud, Adidas and Zalando as previous clients, and last worked with GetYourGuide to design its Zurich engineering office, which opened in November 2017. The current project will comprise the retrofitting of existing in-use spaces within the property for the specific needs of GetYourGuide’s teams, as well as the renovation of previously unused areas such as the spacious Phasenschieberhalle (phase shift hall) for all-hands meetings and public events. Under current plans, GetYourGuide will move day-to-day operations of its Berlin teams into the Umspannwerk Ampere in the first half of 2019. Design concept images for the future office can be found in GetYourGuide’s Press Kit, located here. GetYourGuide is the booking platform for incredible travel experiences. Powered by a global team of over 400 travel experts, GetYourGuide helps travelers find the best things to do wherever they’re headed — including skip-the-line tickets to the world’s most iconic attractions, walking tours by top local experts, immersive food and beverage tours, cooking and craft classes, bucket-list experiences and niche offerings you won’t find anywhere else. Since its founding in 2009, travelers from more than 155 countries have booked over 19 million tours, activities and attraction tickets through GetYourGuide. The company is based in Berlin, Germany and has offices in 14 countries around the world. For more information, please visit www.getyourguide.com.